Whether you'll admit it or not, summer is basically your permission slip to eat as much ice cream and lobster as you possibly can before the weather turns to crap again. 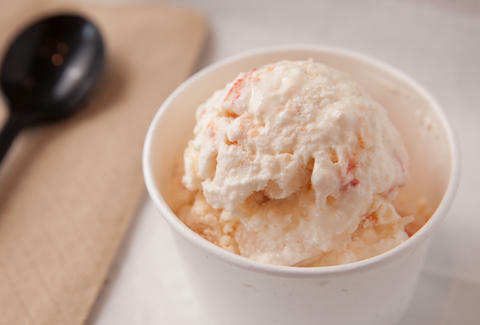 And while you're probably doing just fine with that so far, a popular food truck is making it even easier by putting the two indulgences together into one dish: lobster ice cream. Just in time for National Ice Cream Day on Sunday, July 17th, Cousins Maine Lobster (you may have seen them on Shark Tank), is serving up its insane lobster ice cream at many of its food truck locations across the country, including Los Angeles, Nashville, Raleigh, San Diego, and Sacramento (among others). Unsurprisingly, the sweet and savory dessert sounds as good as it looks in the picture above. 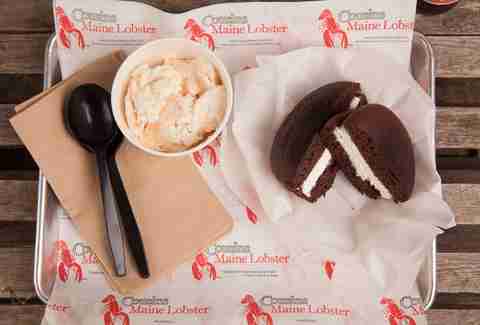 A spokesperson for the chain described it as "buttery flavored ice cream filled with chunks of lobster" sourced from Maine. It's perhaps the perfect way to end a meal of lobster rolls or a full-blown lobster boil, because really, you can never have too much lobster, right? Tony Merevick is Cities News Editor at Thrillist and is pretty bummed he won't be able to try this stuff. Send news tips to news@thrillist.com and follow him on Twitter @tonymerevick.